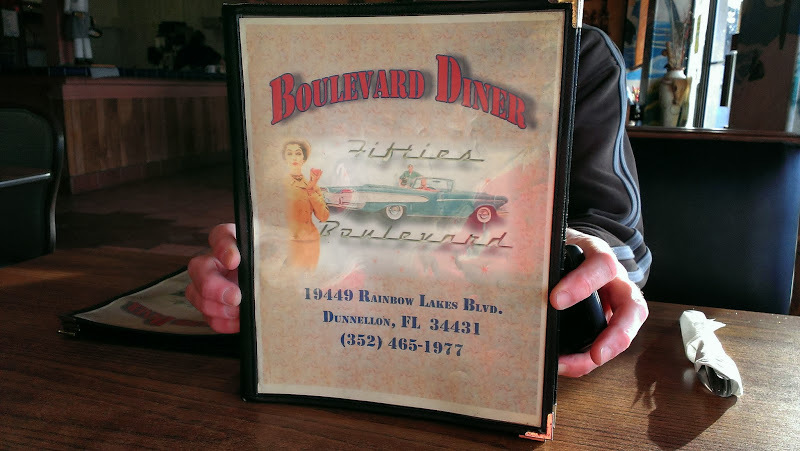 On Friday morning, after another breakfast at the Boulevard Diner, we left Rainbow Springs State Park, heading back to Quail Run in Wesley Chapel. 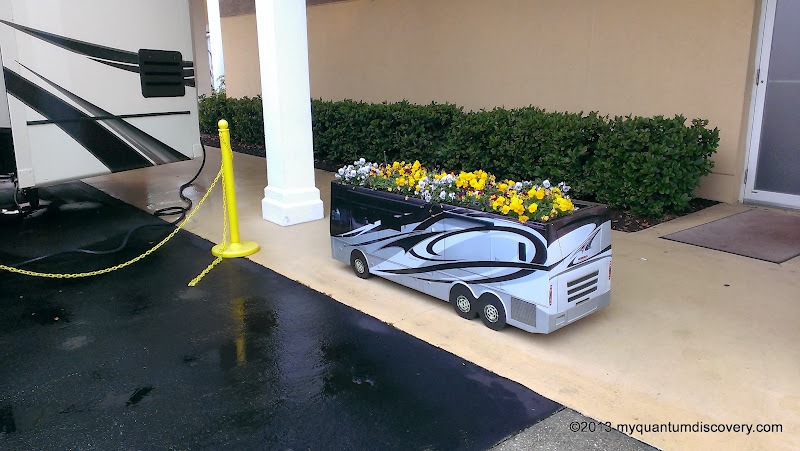 Since we have written about recent stay there during the Tampa RV Show, there’s not much else to say about the resort itself. 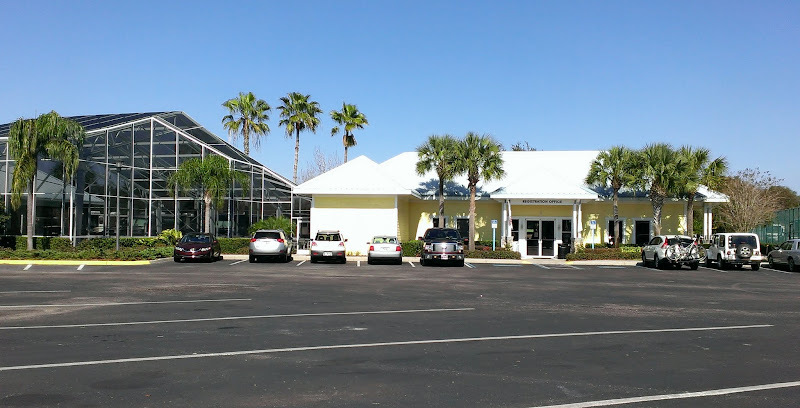 Our Honda Odyssey was slightly overdue for an oil & filter change so we scheduled a 10:30 am appointment on Saturday with Wesley Chapel Honda which was right down the street from the resort. Not always lucky enough to have a Honda dealer near a campground or RV resort so that worked out well. In the past we have had some serious “quality” problems with 3rd party oil change operations and prefer to use a Honda Dealer. Dealers however are not known for their low service pricing, but in this case we Googled the area and found a different dealer offering a coupon for $14.95. Wesley Chapel Honda agreed to honor the competitive coupon and we saved almost 50%. When we checked in, the service writer said it would be about 45 minutes and that was exactly how long it took. Nice waiting area here too, would definitely come back. During our first stay at Quail Run, we were tucked away towards the back of the new section but this time we were in a pull thru right near the main entrance. Nice big pull thru site (#286 – the same site that was occupied the week before by Carolyn and Phil) but since it was right next to the main entrance, there was a little bit more traffic and not as much privacy. On Sunday morning we took our time getting ready to leave – it was only about a half hour run to Lazy Days. When we were finally ready to go I drove off in the van, parking near the office to wait for Rob so we could hitch up the toad. I waited and waited and waited. Hmmm, what happened – did he get stuck somewhere? When he finally appeared and pulled over, he explained that yet another couple interested in the Entegra’s had flagged him down. They had planned to come over on Sunday to talk to us and wanted to hear what we thought of Entegra and how we liked our coach. Rob explained that he would be stopping by the office to hitch up and that they could come over to talk with us there. As soon as he stopped, four people (3 men and 1 woman) showed up on bikes. Time for the sales pitch again! While he was talking to the guys about all the technical stuff, I answered all of Connie’s questions and took her on board. Unfortunately all the slides were in so I couldn’t show her everything but she didn’t seem to care. They are return visitors to Quail Run usually staying the months of January, February and March. 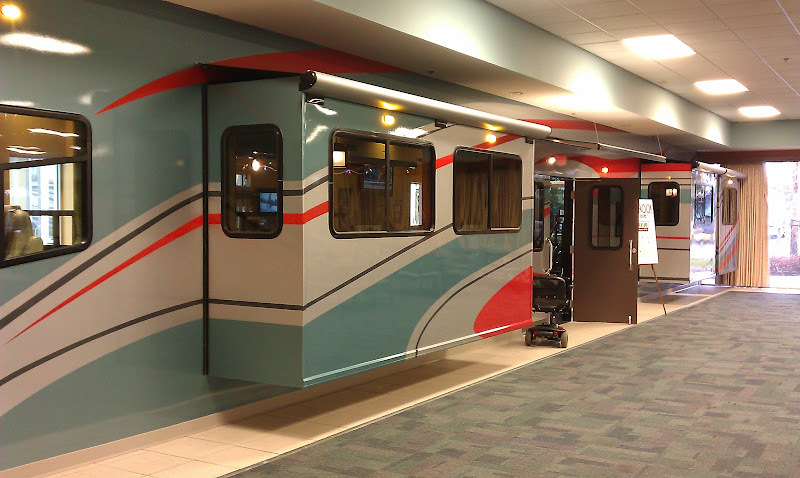 When they left, they said they would probably see us next year – be sure to look for them in their new Entegra! We finally were able to get away and took the ramp on I-75, heading towards Tampa. Uneventful drive although there was the usual traffic. Luckily it was Sunday because there is a lot of construction and in some areas, the highway was narrowed down to 2 lanes. We arrived at Lazy Days in Seffner around 1:15 pm. 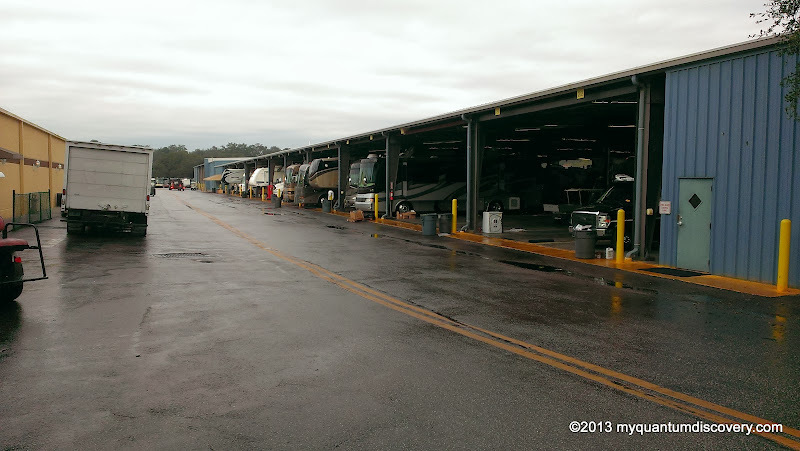 As is typical based on previous experience, the arrival lot was congested with RV’s but a Lazy Days staff member in a golf cart was directing the traffic flow. We checked in at the registration office where we were assigned Site #268, a supposed 45′ long site. 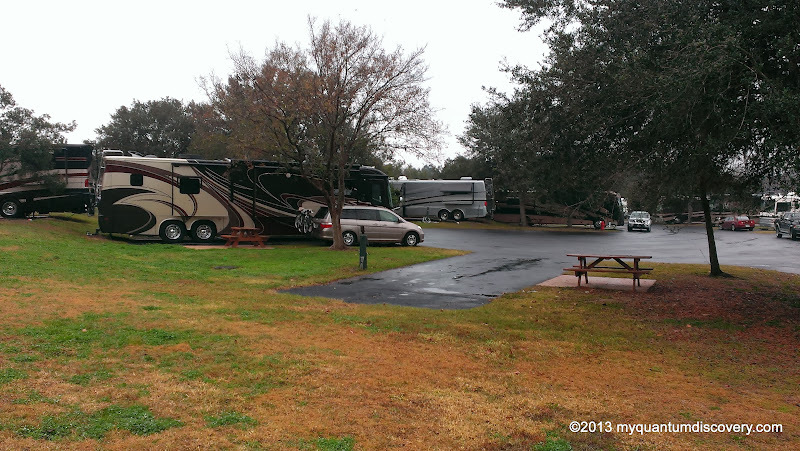 When we came out to the coach, we noticed the RV next to us was from MA so we spent some time chatting with the owner and comparing notes from back “home”. Finally we unhitched the toad and pulled out to find our site. It was an easy back in site since it was at the end of a cul-de-sac. However due to a a 3-4′ rise in the landscape at the back of the site Rob couldn’t pull all the way back. So technically the site pad was probably 45′ but it is probably only suitable for just a 40. We were sticking out slightly into the road. We didn’t dare dump the air bags and put down the jacks. The couple next to us (Bill and Donna from Ohio) had just arrived a few minutes earlier in their 40′ Phaeton. Although their Phaeton was only 3 years old, they had been looking at Entegra’s as well and were quite interested in buying one. So once again, Rob was off and running with his sales pitch. A while later, we took a walk around the campground. We didn’t realize when we checked in that the Fleetwood Discovery Owner’s Association was having their annual rally here this week. We attended that same rally back in 2011 when we were true greenhorns to RV’ing. 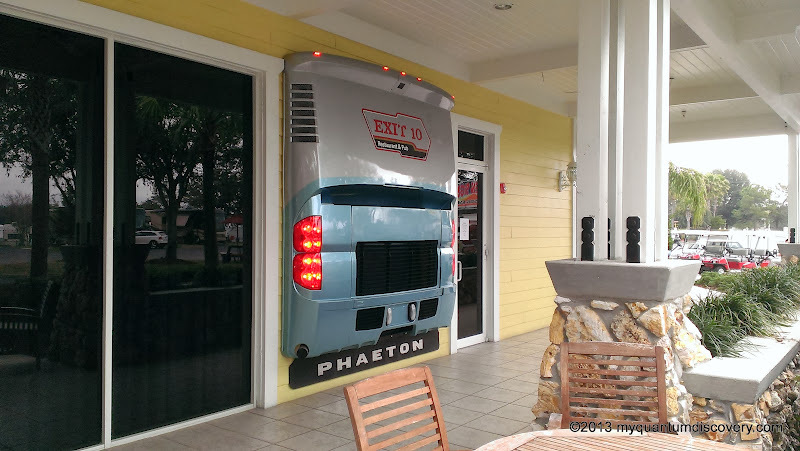 Later in the afternoon, we stopped by the Exit 10 Restaurant/Bar at the Lazy Days campground where we had a delicious “I’m not in Philly” burger (sauteed onions, mushrooms and cheese). The windows at our “slide-out” booth overlooked the hall where they were having a dinner for the Discovery owners that night. While we were eating we were reminiscing about our total lack of knowledge when we bought our Fleetwood in 2010 and our attendance at the same rally in 2011. That was when our new friends, Scotty and Leta, gave us our first taste of true Southern hospitality by inviting us (they had only known us a few hours) to spend a weekend at their home in Tallahassee. Great people – we were hoping to see them in the next few weeks but disappointingly we just learned that Scotty has to have double bypass heart surgery in February. Our thoughts and prayers are with both of them – hope he has a successful surgery and a speedy recovery! 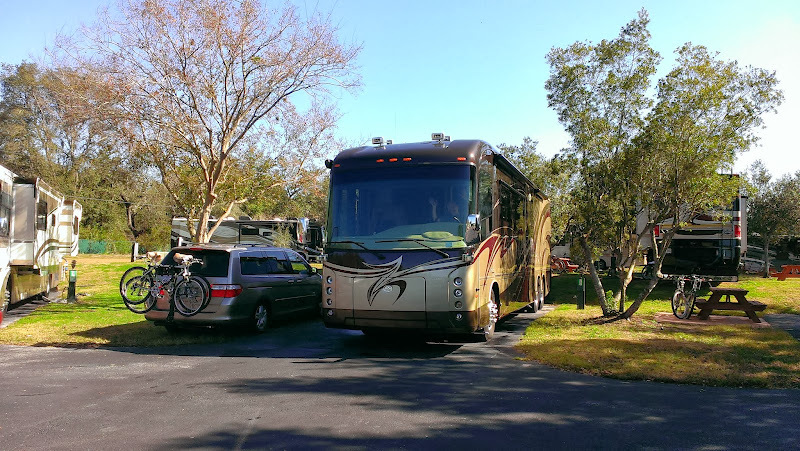 My how things have changed since then – we still have lots to learn of course but here we are – our house is sold, we’re full timing, have become Florida residents and have our brand new (well, 9 month old) Entegra Aspire coach. Whew, 5 years ago I never would have thought we would be where we are today! If someone had suggested this lifestyle I would have laughed in their face. But now we’re loving every minute of it! Anyway, for staying at the LD campgrounds, you are given the usual packet of info but they also include vouchers for a free breakfast and lunch for each day of your stay excluding Sundays. 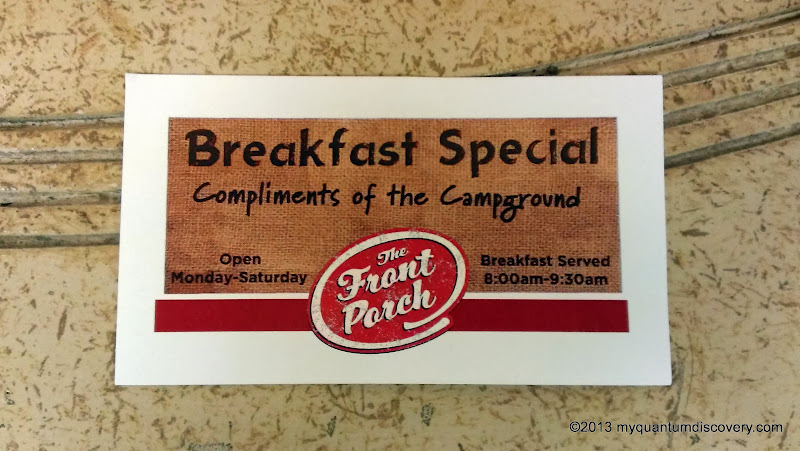 So on Monday morning at 8 am we headed over to their cafeteria style restaurant, The Front Porch, located in the Sales/Service Building with our vouchers for our free breakfast. 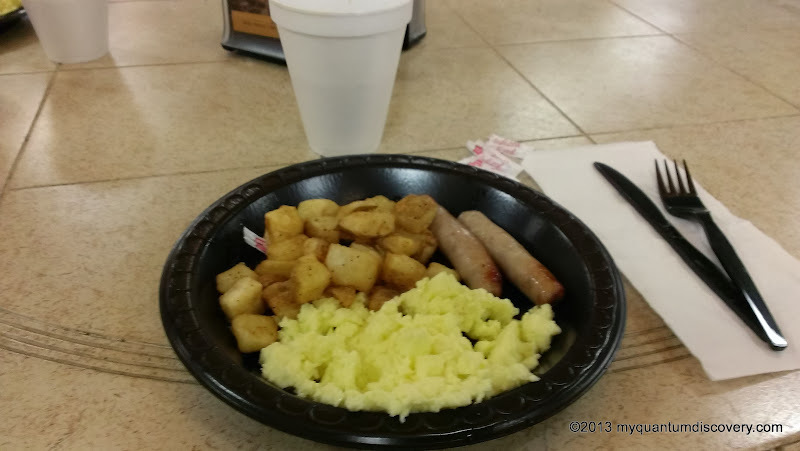 Scrambled eggs, home fries and 2 sausage links. It was very good but then again who’s going to complain about a free meal! Before we headed back to the coach we went on board several of the coaches (including an Entegra Anthem) that were on display in front of the building. After returning to our coach, Wade RV called to say they would be over to template out the dash mat somewhere between 10:30 am and 1 pm. When the tech showed up at 11 am, he told us that they would try to have it done that day but if not, it would be ready by 9:30 am the next day. Good thing since we had to leave by check out time at 11 am on Tuesday. Around noon time we headed back to the Front Porch restaurant for our free lunch – Sloppy Joe’s with fries and chili cole slaw also very good. We ended up sitting with our next door neighbors, Donna and Bill, exchanging many stories about our adventures. After lunch, we made a run to Publix to stock up on a few items. After we returned the rest of the day was pretty quiet, spending time on various projects on board the coach. 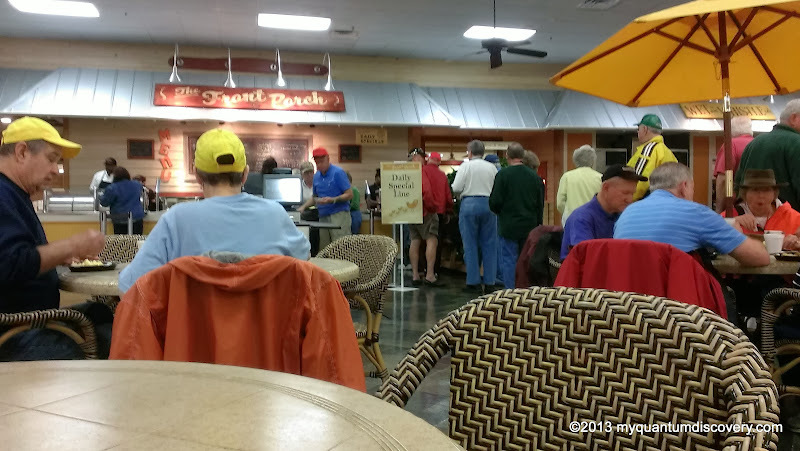 On Tuesday morning, we headed over to breakfast at the Front Porch – on today’s menu was the usual scrambled eggs, but with sausage and corned beef hash. 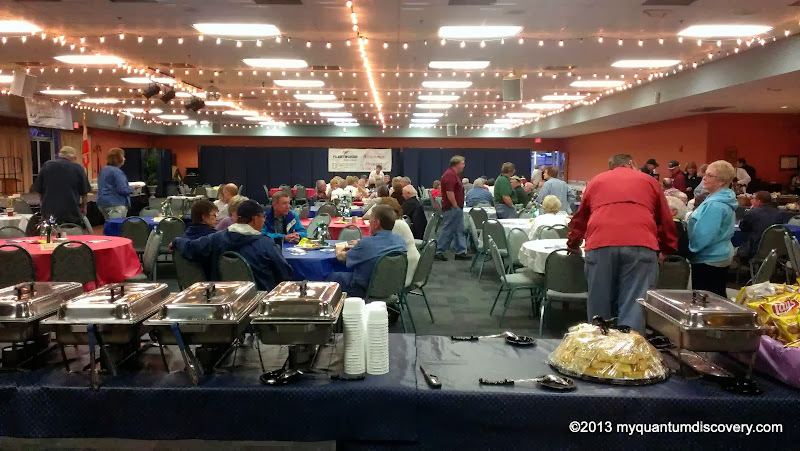 After we sat down at a table, Bill and Donna joined us since they had driven their Phaeton over to the service area around 8 am. Had another great visit with them – even though they are not full timing, they have been to so many places it is interesting listening to their adventures. Great people! 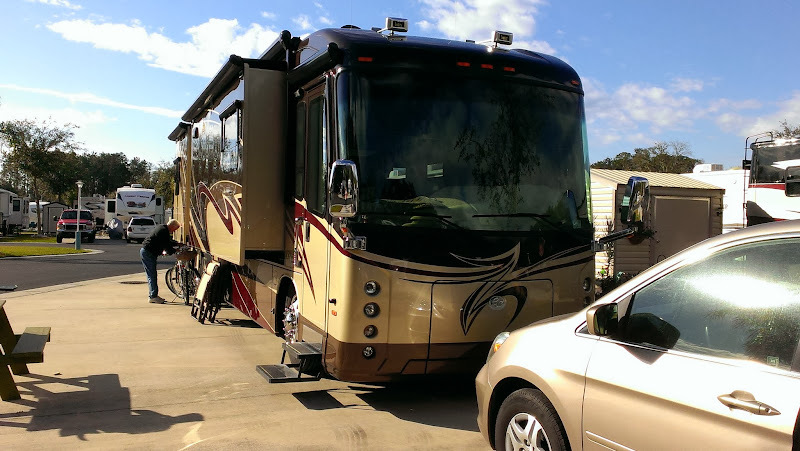 In comparing our plans, it turns out they plan to be at Lake Osprey RV Resort in Elberta, AL around the same time that we will be in Orange Beach so hopefully we’ll be able to get together again at some point in time during March. Wade RV showed up around 9:45 am to install the new dash mat. Sure looks great! Of course, Sparky loves sharpening his nails on it too (GRRRR)! Big improvement over the two pieces of carpet taped together with duct tape that Rob had put together prior to our departure from New England. It served it’s purpose to keep kitties from sliding around on the resilient vinyl dash and ripping it to shreds but it sure didn’t look very pretty. 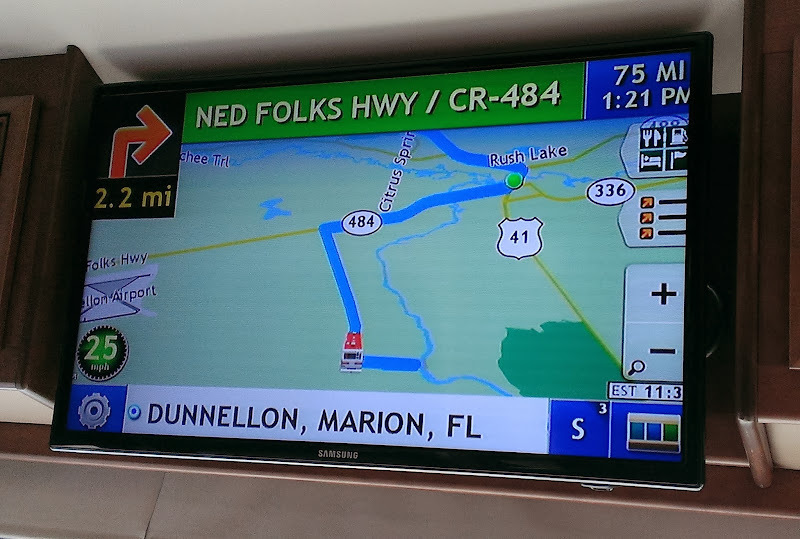 Around 11:30 am, we left Lazy Days, headed for our next destination, Alafia State Park in Lithia, FL. More on this in the next post…. I’m getting a kick at all you breakfast descriptions! That happens to be a meal we particularly enjoy as well. Perhaps we will get to share one oneday! 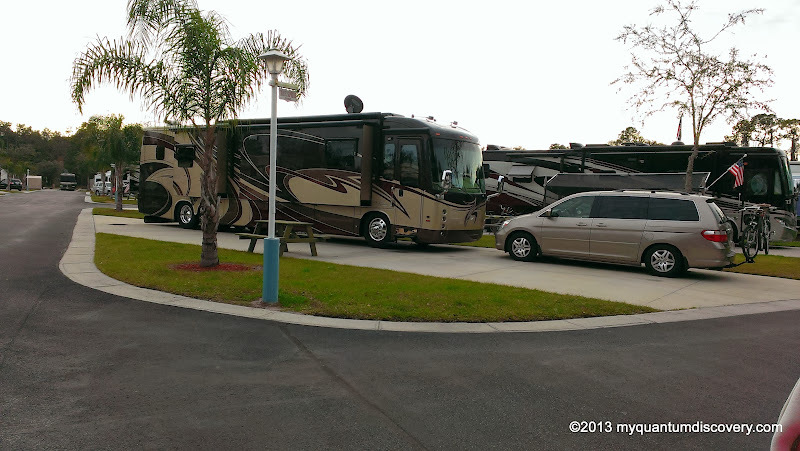 We are settled in our February campground here in Bonita Springs. 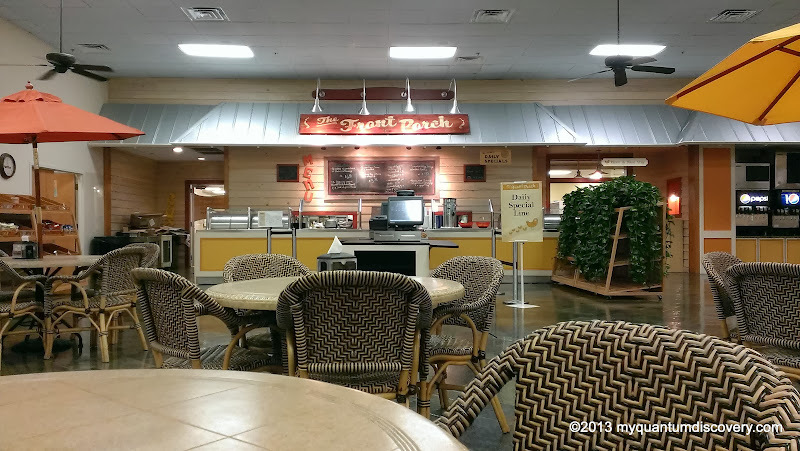 We are at Imperial Bonita Springs and are very pleasantly surprised. We had to take what was available when making reservations in August as we did not realize that people reserved a year in advance, and everything was booked. We got a cancellation, and lucked out. There are permanent, seasonal, and monthly residents as well as weekly and overnight. It is well kept and active. I’m looking forward to meeting new people. Thanks! Hopefully we’ll be able to enjoy a breakfast with you and John someday. I looked at the website for Imperial – looks very nice. Enjoy your stay! Hopefully we’ll be getting some warm weather soon. PS…the dash mat looks great! Thanks Flo! Let’s hope bratty Sparky doesn’t destroy it with his claws!